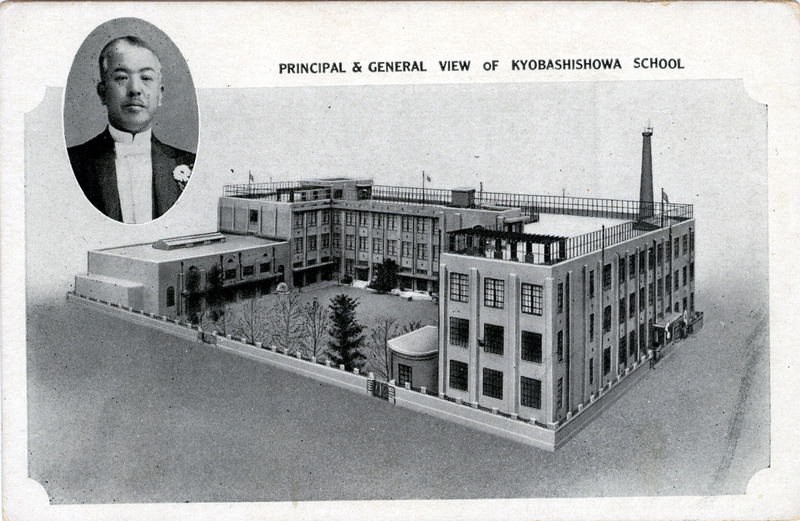 “Principal & General View of Kyobashishowa School”, Kyobashi, c. 1930. “The Takarada elementary school was founded in 1873 in the Kyobashi district of Tokyo. Its building was destroyed by fire in the 1923 earthquake. When reconstruction commenced after the earthquake, the Takarada school was merged with another nearby elementary school and rebuilt as Kyobashishowa elementary school. The new three-story building, constructed of reinforced concrete, was completed in March 1929.